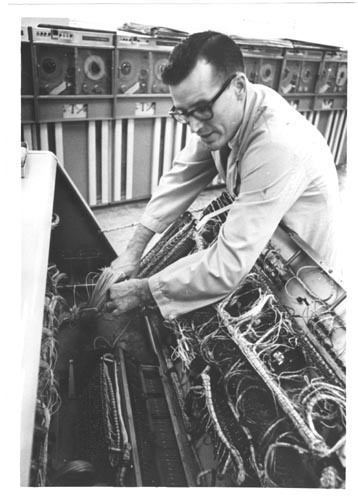 B&W image of a man taking apart an Univac device. There is a row of tape drives in the background. Univac devices with some people.